Hainan agricultural enterprises sold very well on the first day of this year’s International Winter Trade Fair of China Hainan Tropical Agricultural Products at Haikou International Convention and Exhibition Center. A total of 92 local enterprises signed sales contracts on the first day of the event, with sales totaling 7.547 billion yuan. 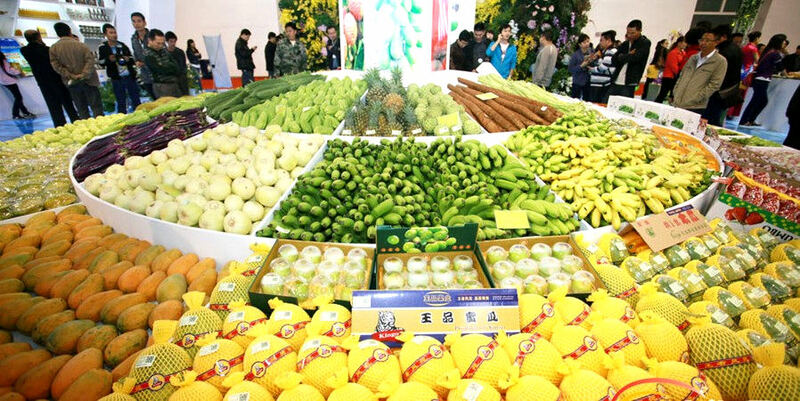 Among the deals, a 1.217 billion yuan deal was made by 5 Sanya enterprises concerning tropical fruit and vegetables. This year, the fair continues to display a variety of agricultural products, including tropical fruit, vegetables and aquatic products. It is expected that an influx of visitors over the weekend will help it beat the sales it recorded last year.